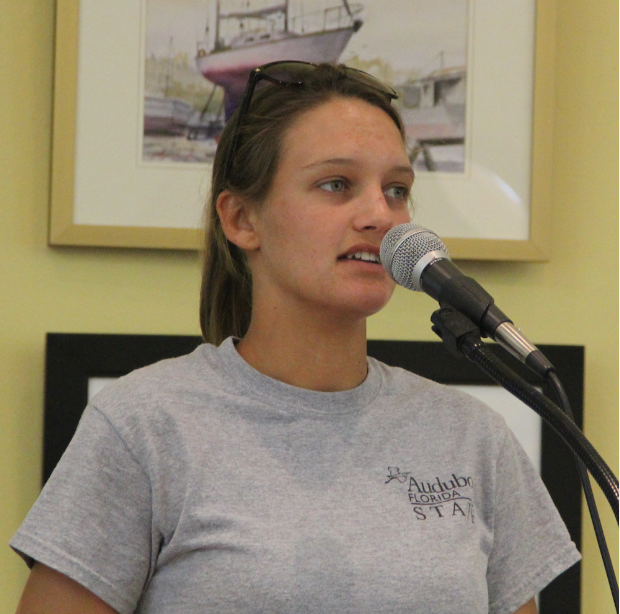 So far, this summer has not been a good one for snowy plovers on Siesta Key, Kylie Wilson, the Sarasota coordinator for Florida Audubon’s Shorebird Monitoring & Stewardship Program, told SKA members during their June meeting. While Siesta’s total number of nests in 2017 was approximately 20, she said, this year — with the season half over — only five have been counted. The primary reason the birds are not doing well on the island, Wilson added, is most likely the raiding of the nests by crows. The latter are very intelligent birds, she noted, and they readily seem to recall the sites of nests after they find them, so they can return to check for more eggs. The good news, she pointed out, is that a nest just had been found south of the public beach, which traditionally has been an area the birds have eschewed. A man raking the beach for a condominium complex discovered the nest, Wilson indicated in her weekly email update. The Siesta volunteer surveyor for Florida Audubon was able to get the area roped off right away, Wilson added in the email. In the June 7 email, Wilson wrote, “The female was seen this afternoon on the nest which was last confirmed with two eggs. She will likely be laying her third egg and incubating this weekend,” Wilson pointed out. Volunteers truly are needed, she stressed to the SKA audience, to keep an eye on the progress of that nest. She invited anyone interested in helping to email her at kwilson@audubon.org. Yet another critical issue, she explained, is the need for parking spaces Audubon volunteers can use without worries about towing. Because nests often are close to condominium complexes, she said, public parking is not readily available. Siesta property owner and manager Michael Holderness told Wilson he could help with the parking situation, for which she offered her gratitude. Holderness also talked of having seen a lot of crows near the dumpsters at the Blasé Café and Gilligan’s Island Bar & Grill locations in Siesta Village, which are close to Beach Accesses 4 and 5. Lisa Cece, the special district coordinator for Sarasota County, who oversees Village upkeep for the county, explained that Wilson would need to contact the private business owners about dumpster problems. Cece suggested that Wilson also could contact the Siesta Key Chamber of Commerce for assistance. Holderness did ask Wilson whether it would be possible to create caging over the snowy plover nests, to protect the birds from crows. Efforts have been made in some areas to use caging around piping plover nests, she responded. However, the initiative is not appropriate for snowy plovers, she said. “They’re very, very sensitive to disturbance. These guys will abandon their nests at the drop of a hat,” even if eggs are close to hatching. “Their main and only defense, really,” she added, is to try to make themselves invisible against the backdrop of the sand. Furthermore, Wilson continued, crows will sit on top of a cage and pester birds on a nest. “I get that question a lot,” she noted, referring to cages as a means of protection. Robert Luckner, a member of the SKA’s Environmental Committee, took the opportunity of the discussion to offer an explanation about why Sarasota County staff years ago removed garbage cans from the public beaches and put them at the accesses. The containers, he said, “were a great magnet for crows,” which exacerbated problems for the beach-nesting birds on Siesta. In response to another question, Wilson also pointed out that she and volunteers cannot rope off potential nesting areas until eggs have been found. 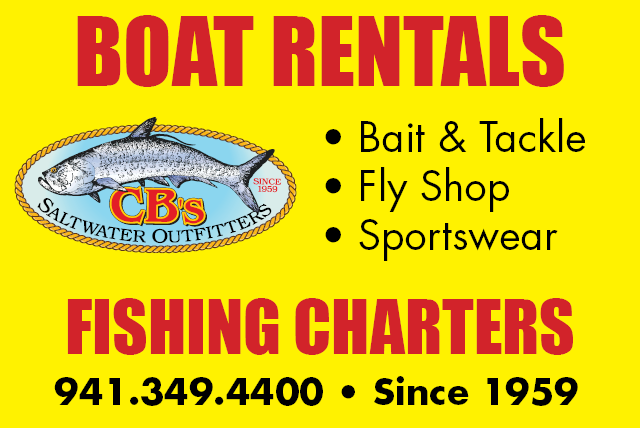 The only exception, she said, is on property owned by the Conservation Foundation of the Gulf Coast, which is just north of the public beach. The foundation allows pre-posting, she said. However, in the past, she continued, the birds have been inclined to nest closer to beach vegetation. 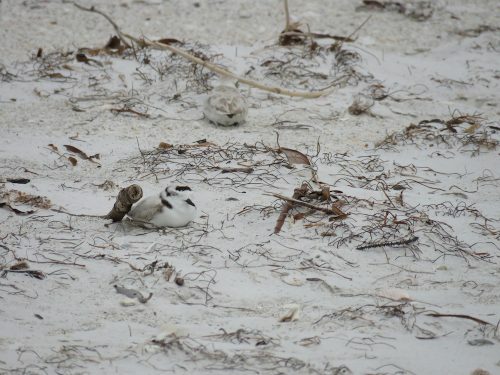 On one other positive note during her remarks to the SKA members, Wilson did point out that the northern end of Longboat Key has had “a lot of [snowy plover] nesting this year.” Of the six nests reported so far, she said, chicks had hatched from two of them; two remained active with eggs and two have failed.